What is it and why am I drawn to it? 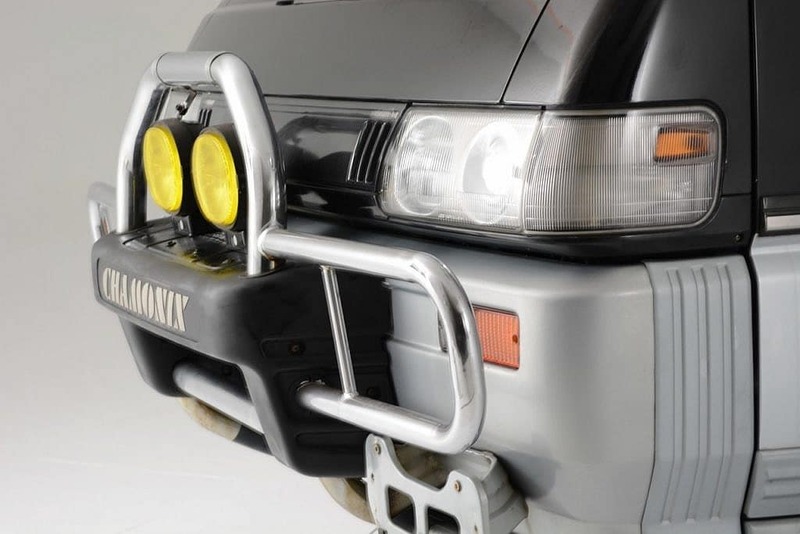 Yes, we said the same thing a few years ago when these started creeping into the U.S. market. 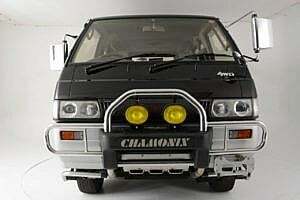 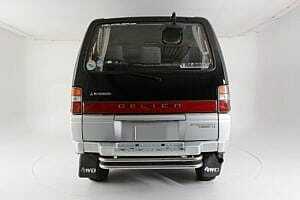 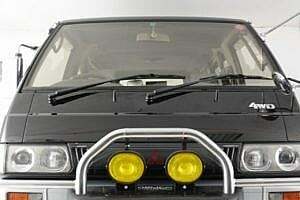 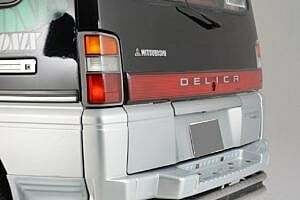 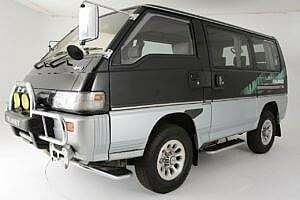 Meet, the Delica…Mitsubishi’s 4wd answer to the VW camper van. 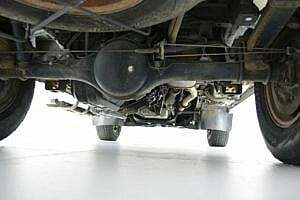 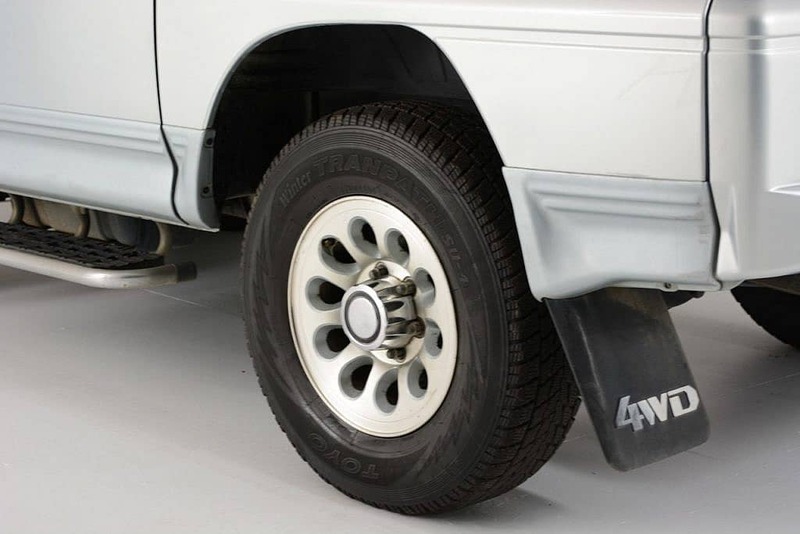 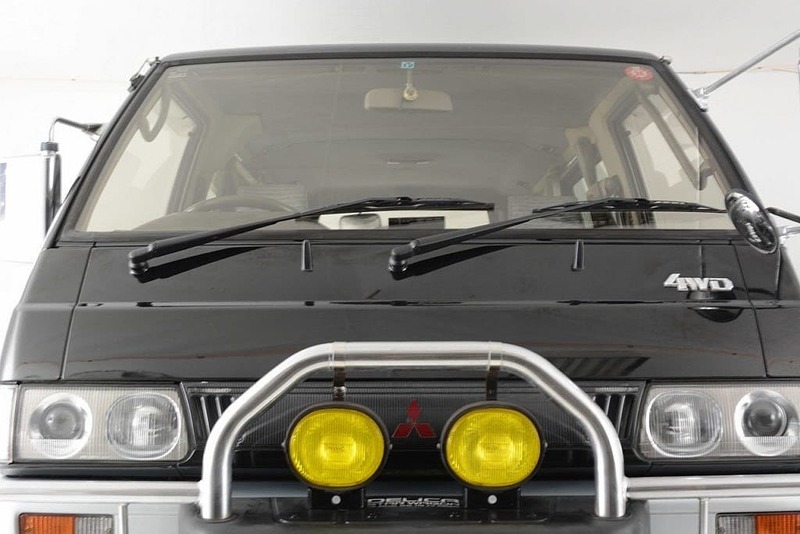 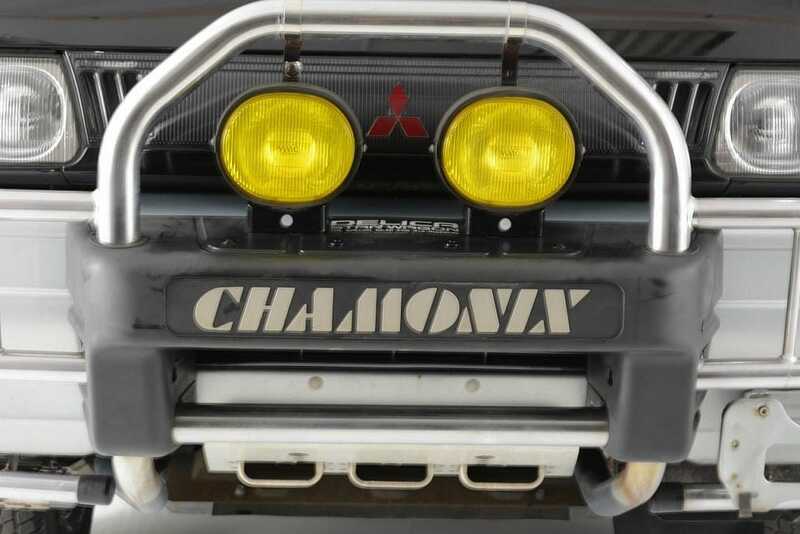 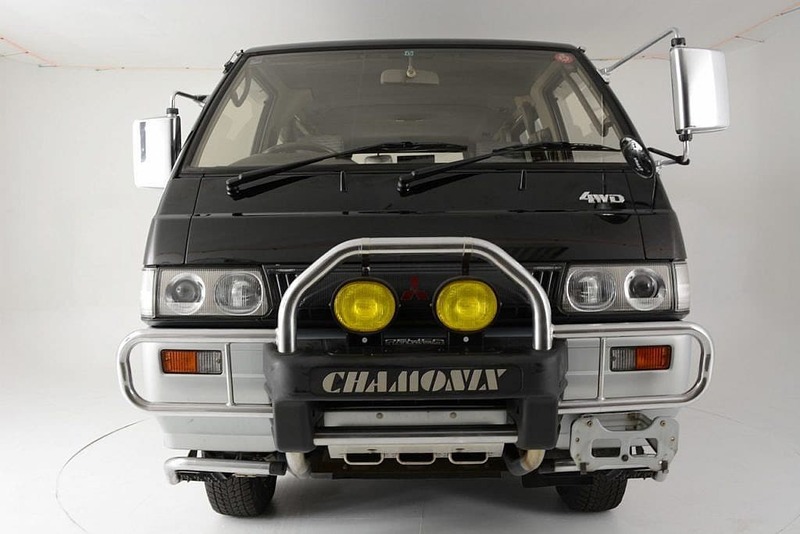 With roots dating all the way back to 1968, the van as we know it today (or don’t know it), really began when Mitsubishi Motors installed the four-wheel drive system in 1982. 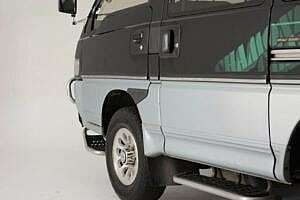 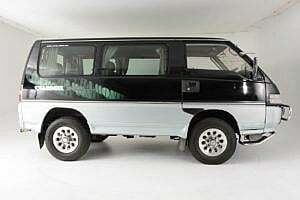 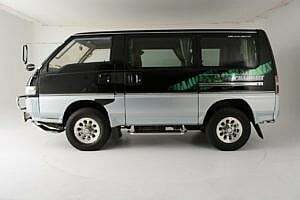 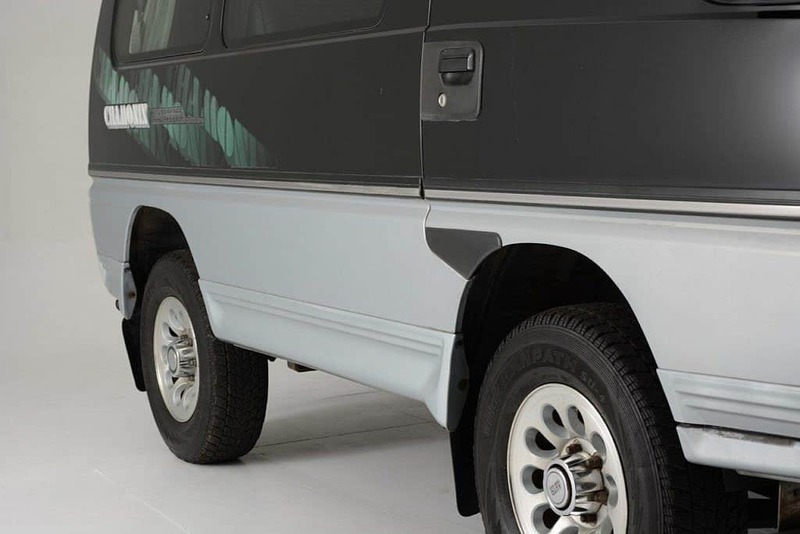 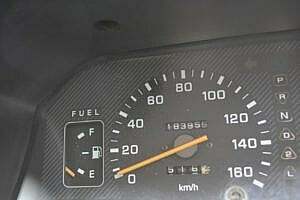 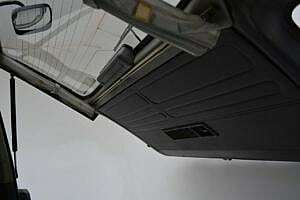 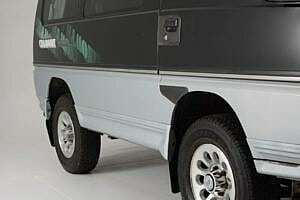 A major redesign in 1986 brought up to more van-like standards and not much has changed since then. 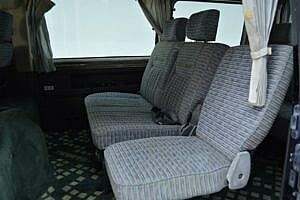 Most of them hail from Japan or Canada, and just like our Defender friends, they must be at least 25 years old to enter the States. 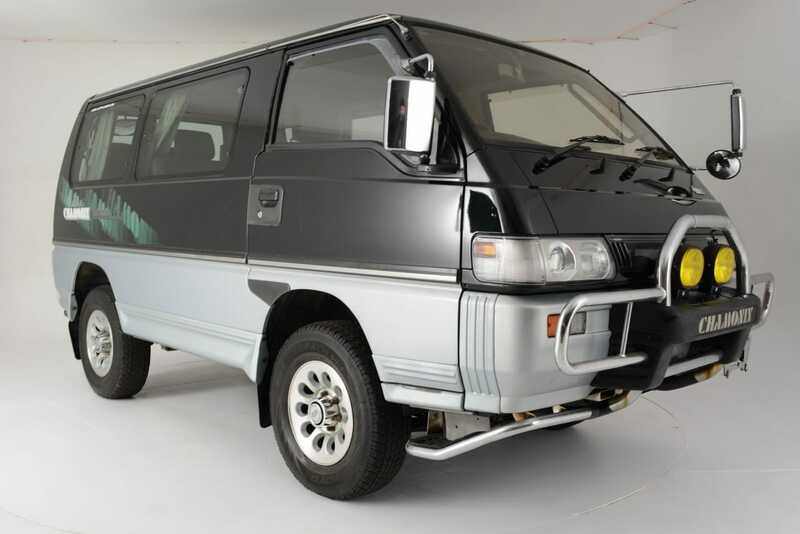 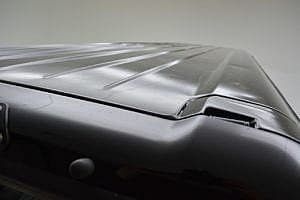 They are RHD, seating for up to 8, a true high/low range 4WD, and highly modifiable for expedition outings to the grocery store or the Rockies. 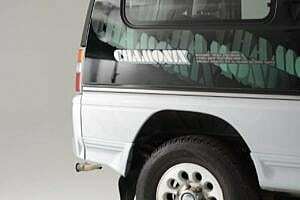 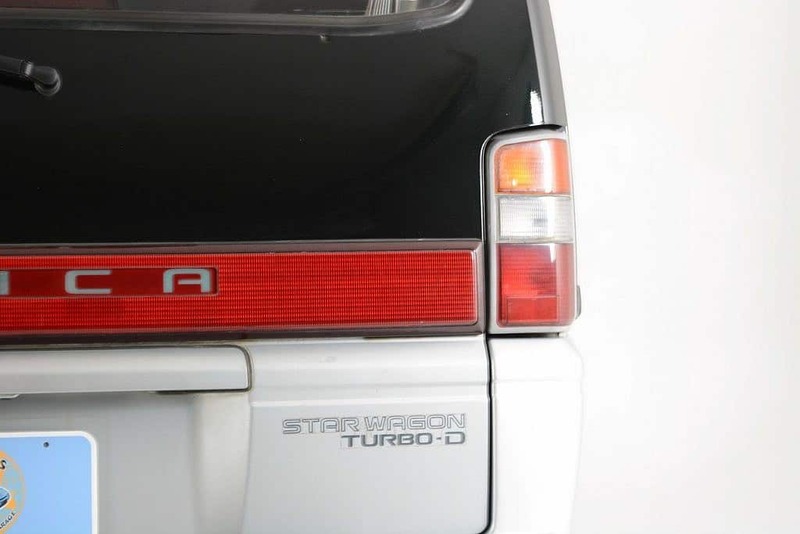 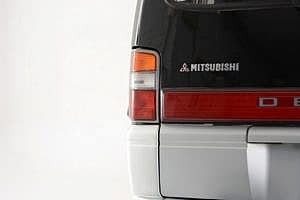 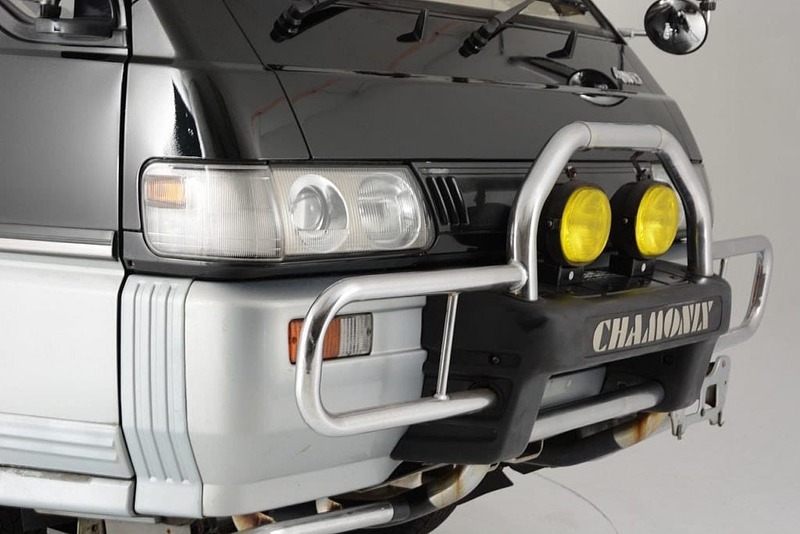 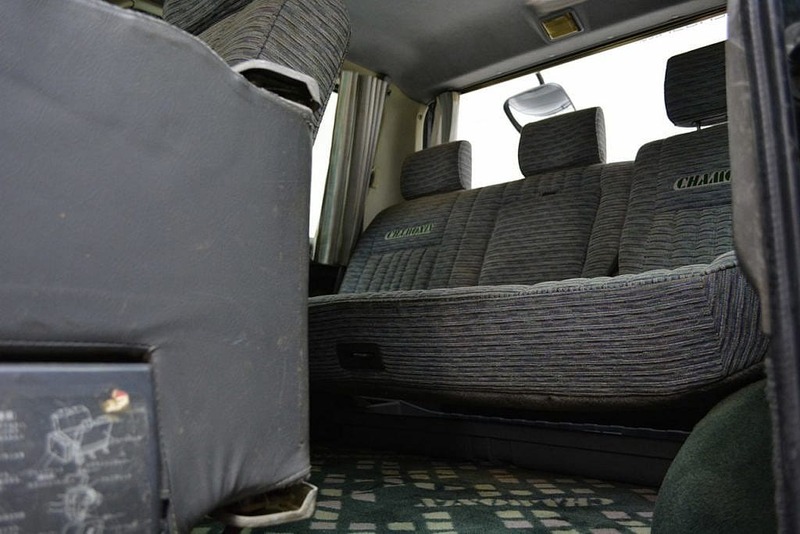 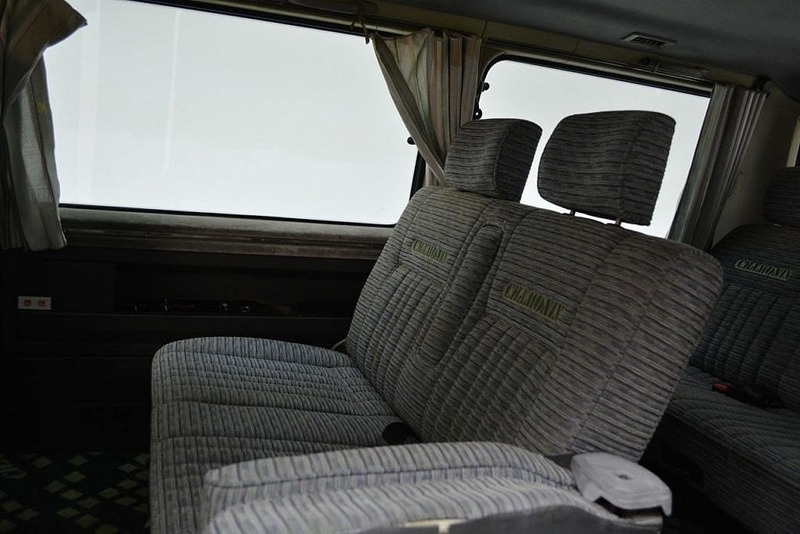 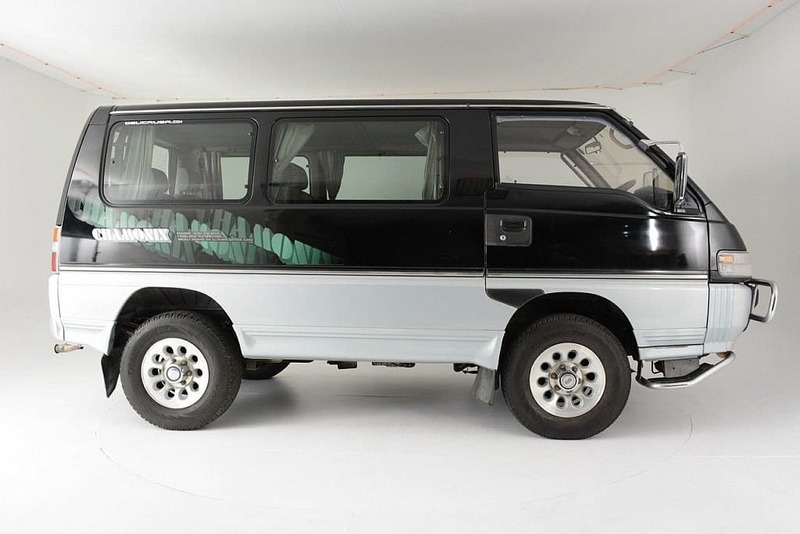 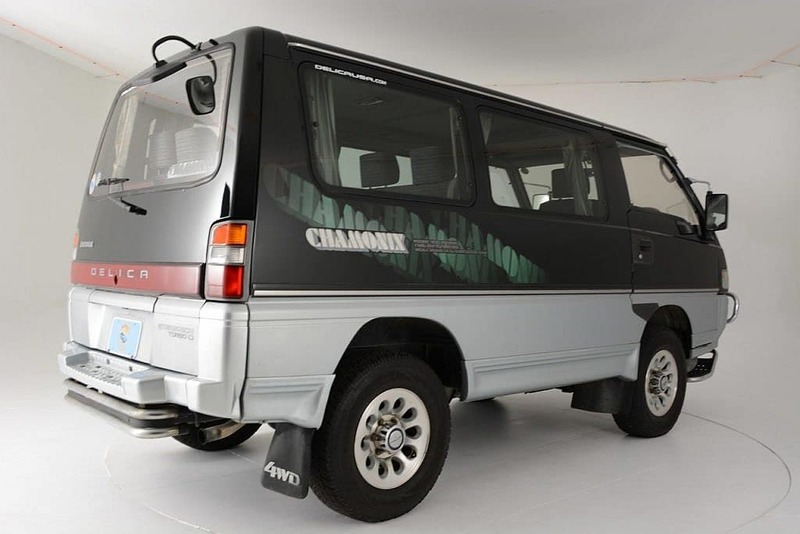 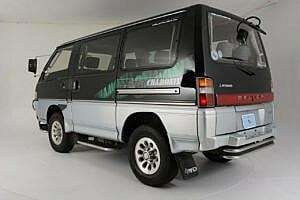 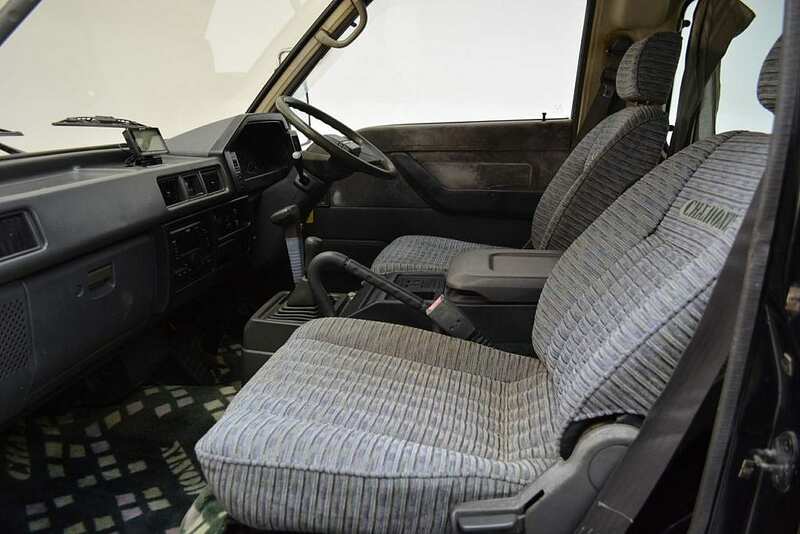 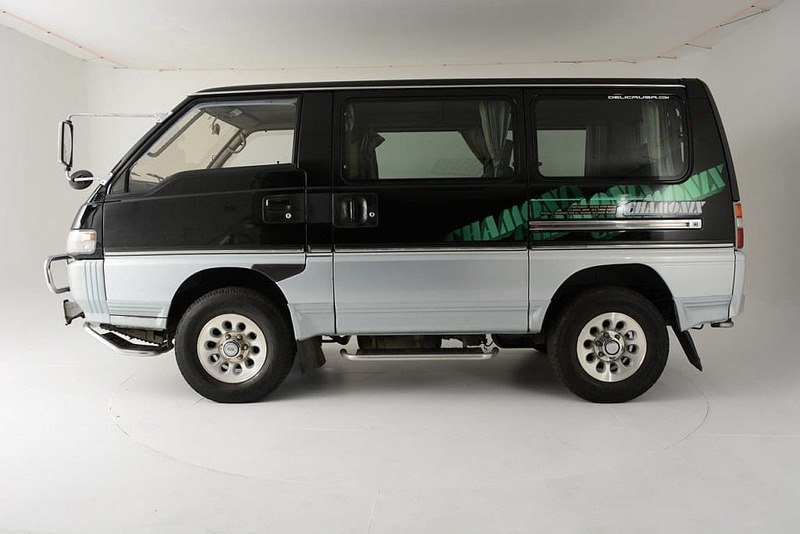 We present to you a 1992 Mitsubishi Delica in the desirable Chamonix trim, one of the highest trim levels offered in the Starwagon line up. 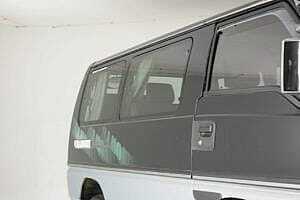 This one is believed to be all original in it’s two-tone black/grey paint schema with trim lettering. 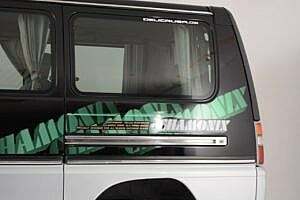 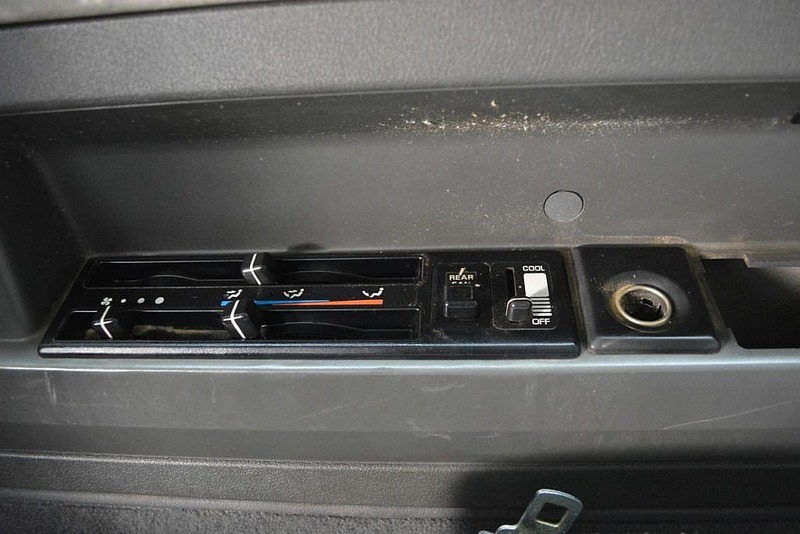 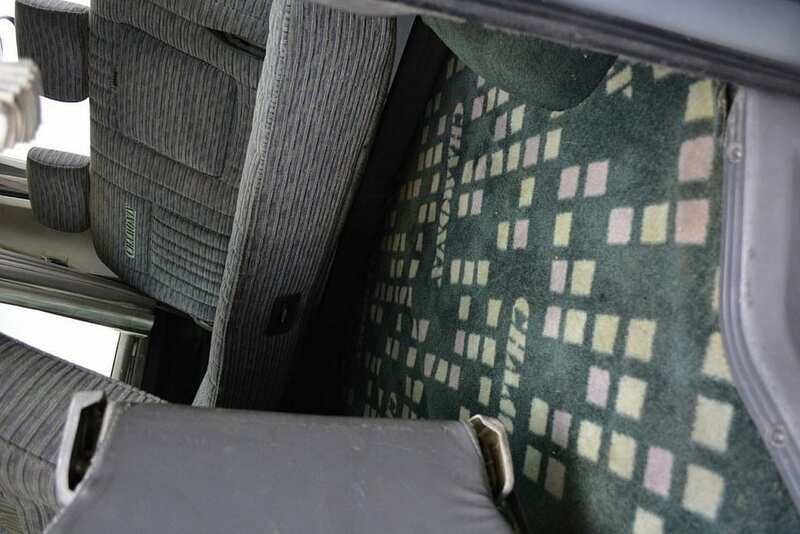 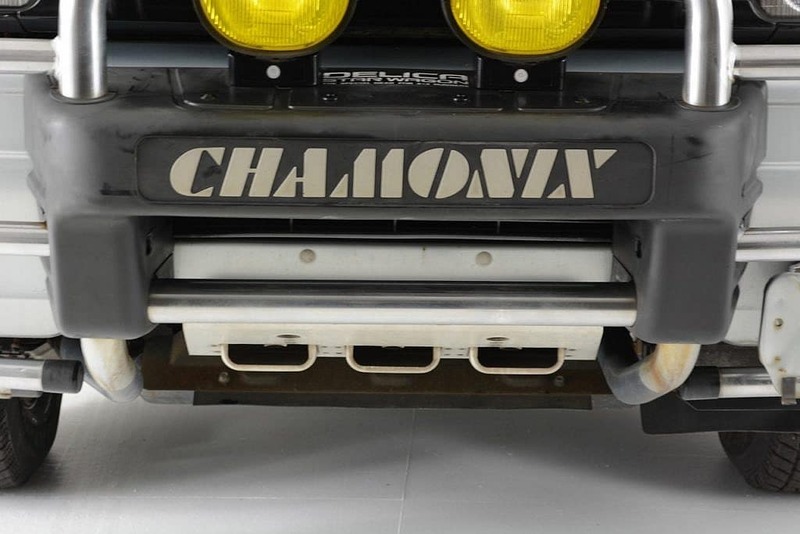 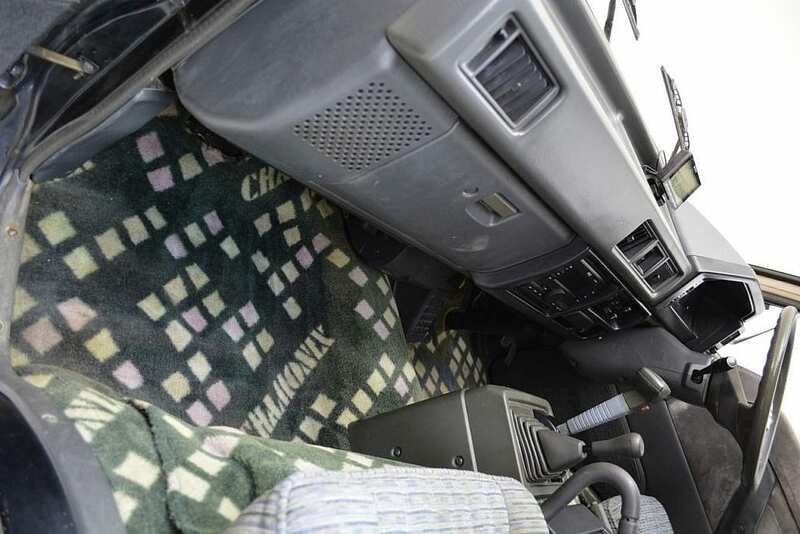 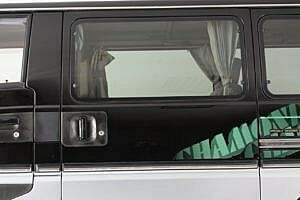 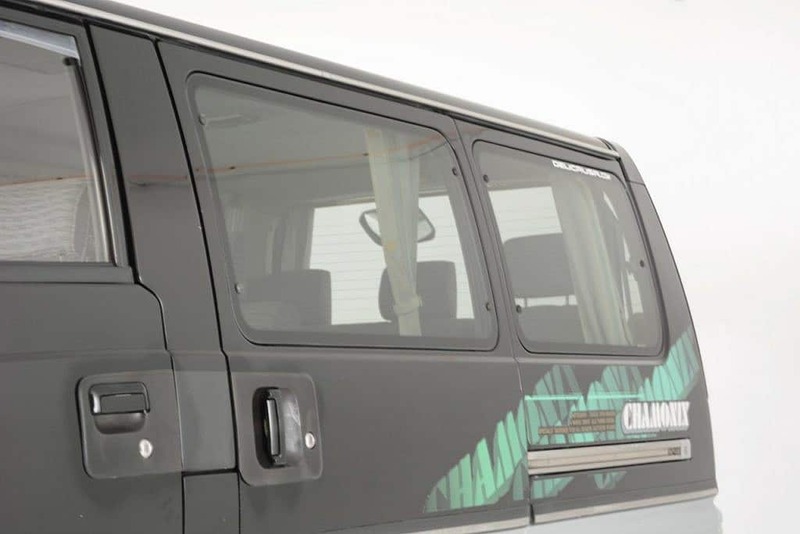 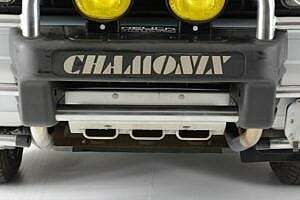 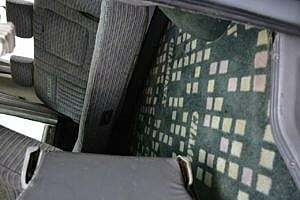 The Chamonix trim is considered to be a winter package, with this includes thicker carpets, dual battery setup and and a LImited slip differential. 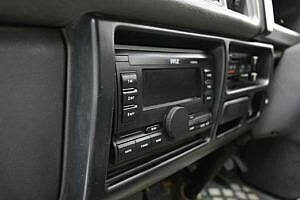 The seller also exchanged the radio to USA specs so it is fully functional. 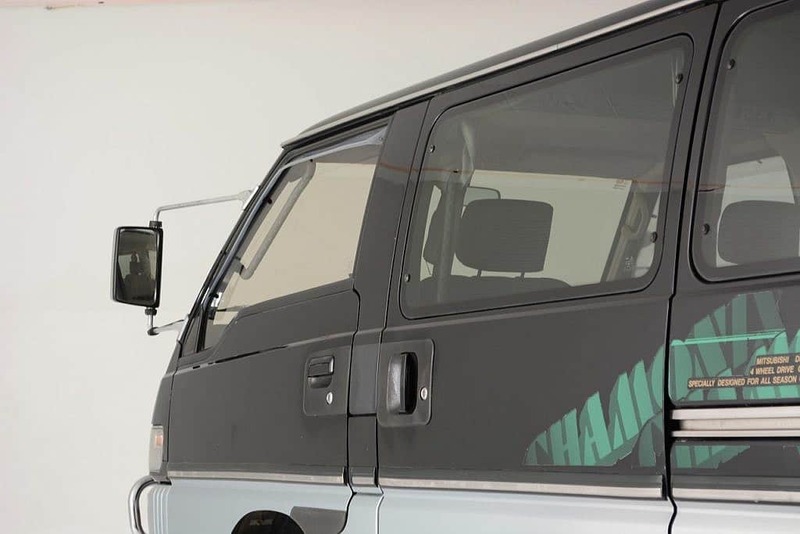 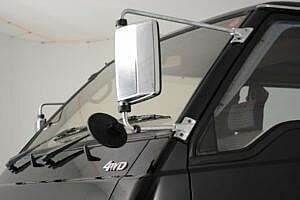 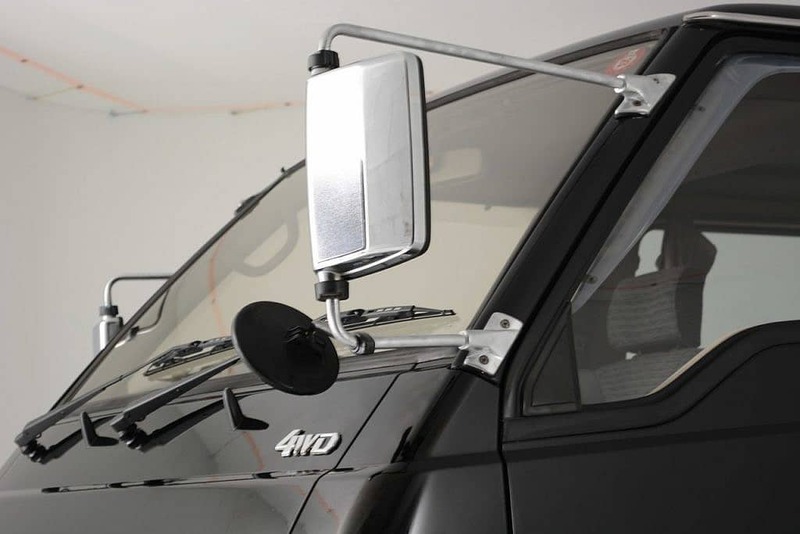 All of the original factory mirrors are present including the rear which is not often the case. 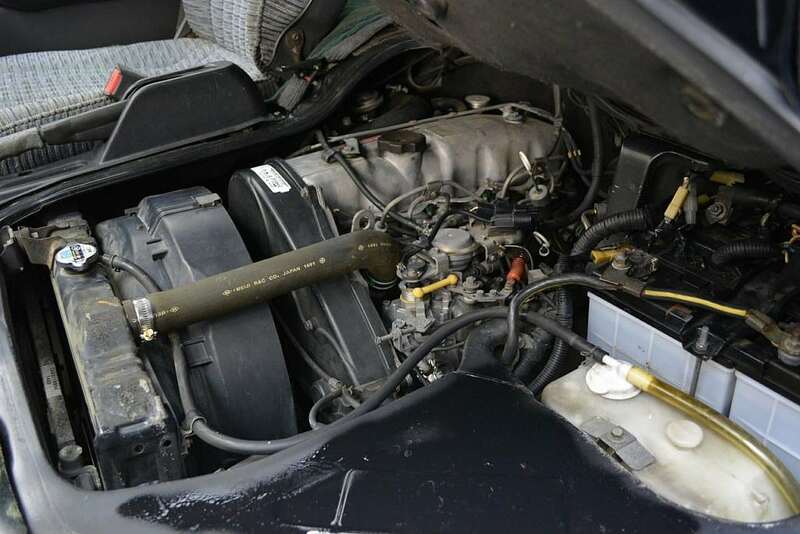 It has reportedly gone through the sellers 100-pt inspection procedure, received all the necessary maintenance items with over 30 hours of shop labor time including a new timing belt, it has a clear title and ships from Pennsylvania. The seller has provided many pictures inside and out along with close ups. 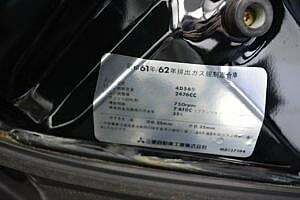 Please study them carefully. 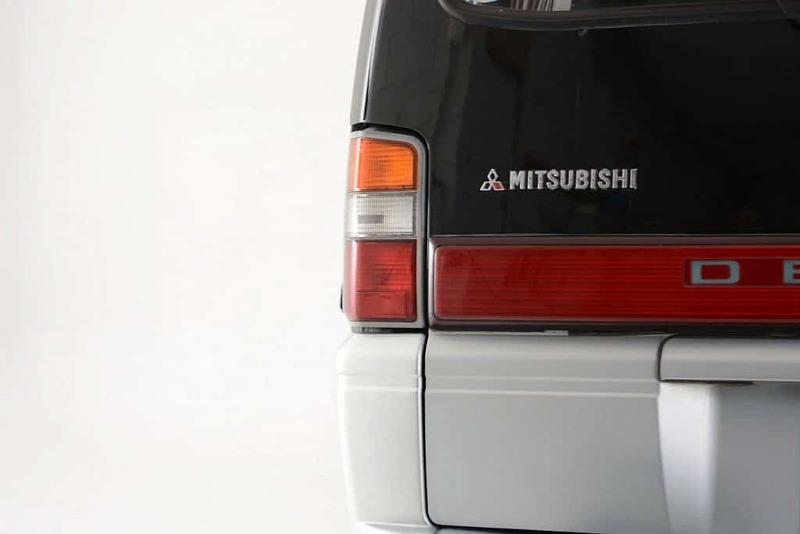 We see no major flaws, no dents or paint issues of note. 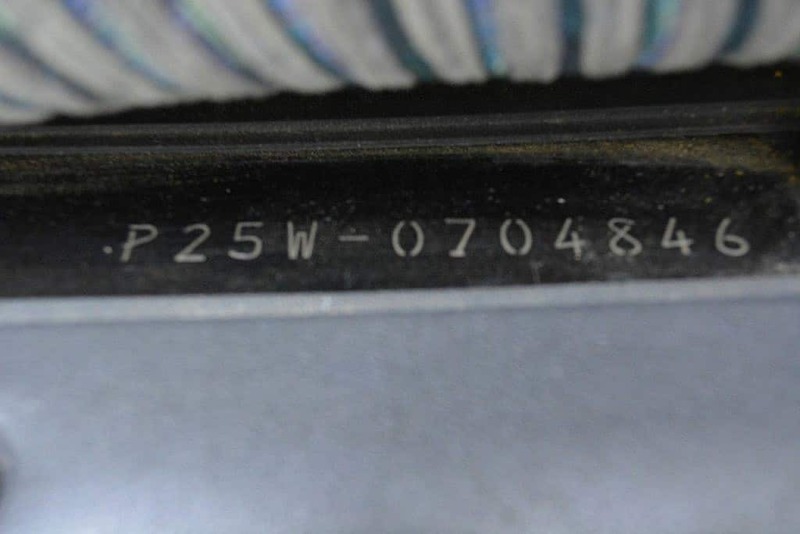 We would anticipate seeing some nicks and scratches up close of course on a 26 year old vehicle. 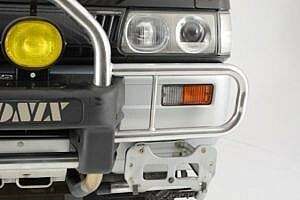 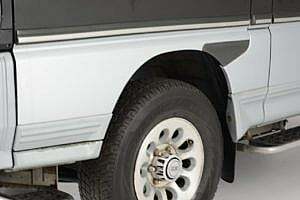 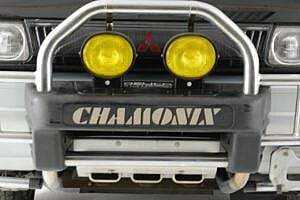 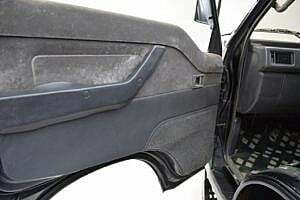 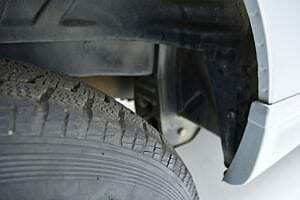 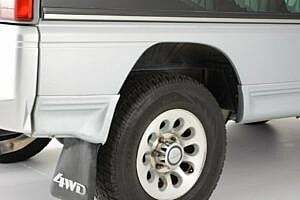 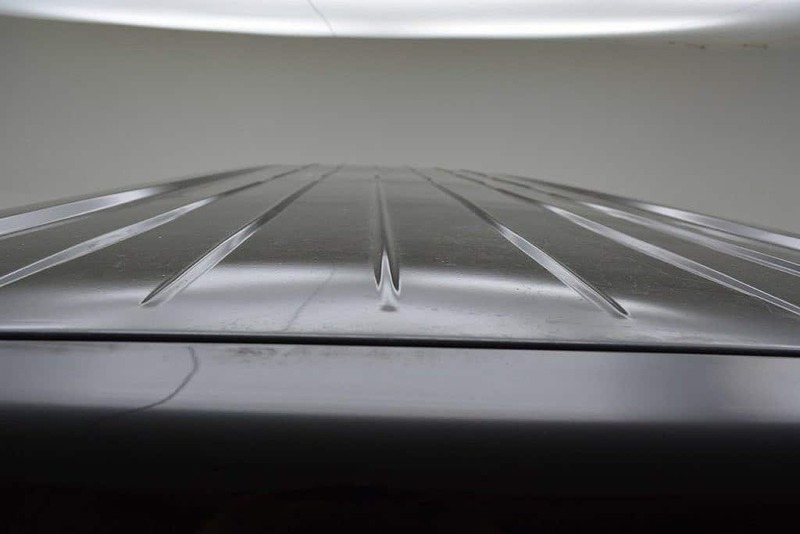 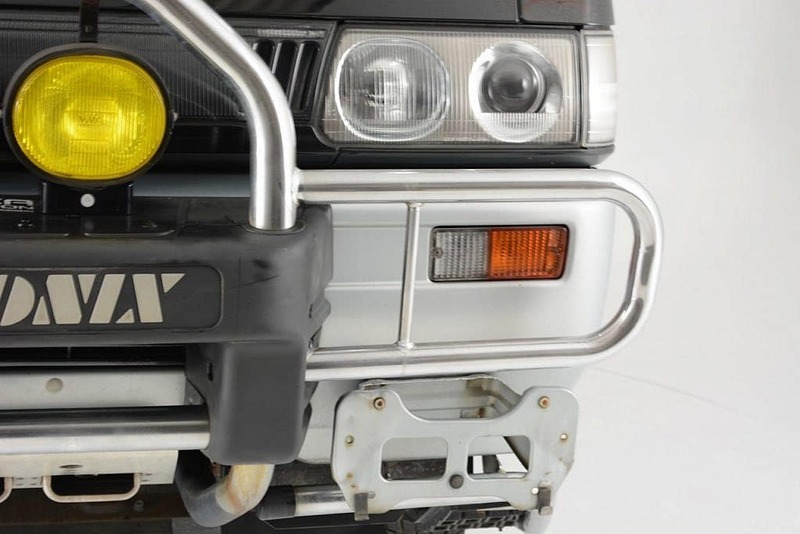 Some rust stains can be seen on the front bumper bull guard and some spots of rust on the chassis. 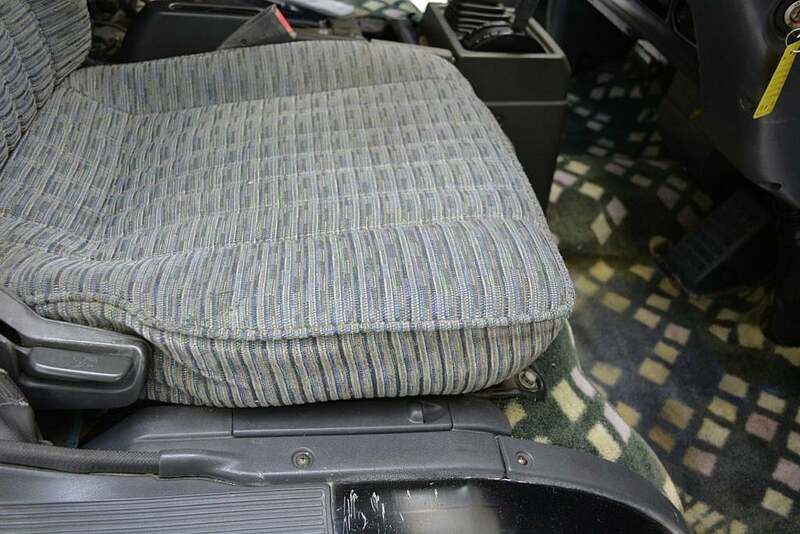 The seller firmly states no rust concerns at all on this one and anything seen is very superficial surface spotting. Inside this Starwagon appears to be all original as well. 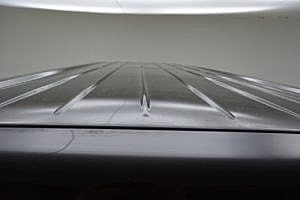 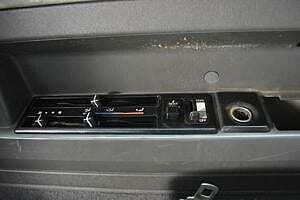 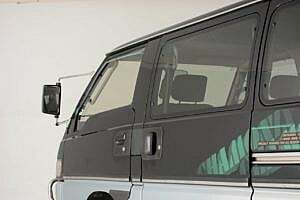 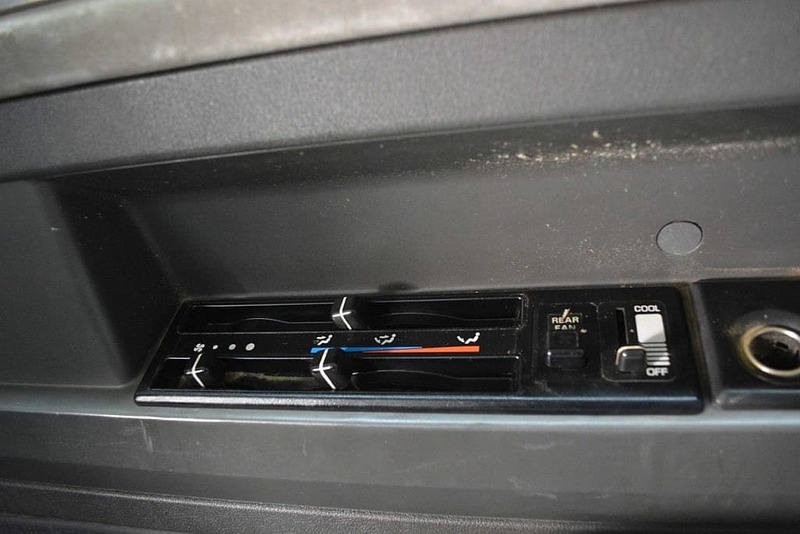 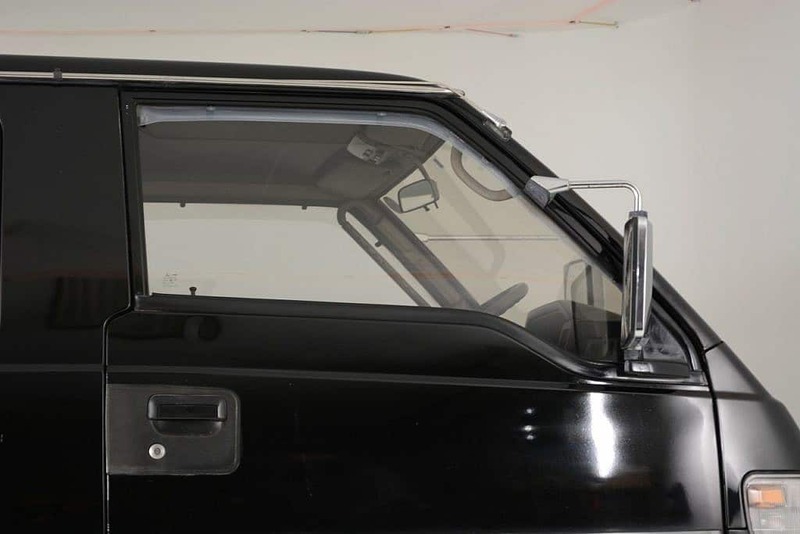 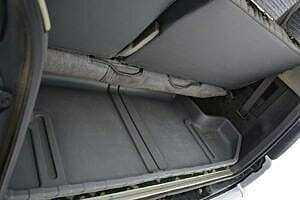 Rear passengers access the inside by a single sliding door on the left hand side of the car. 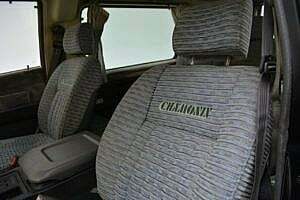 The logo seating is for 8, the original logo carpeting is still present. 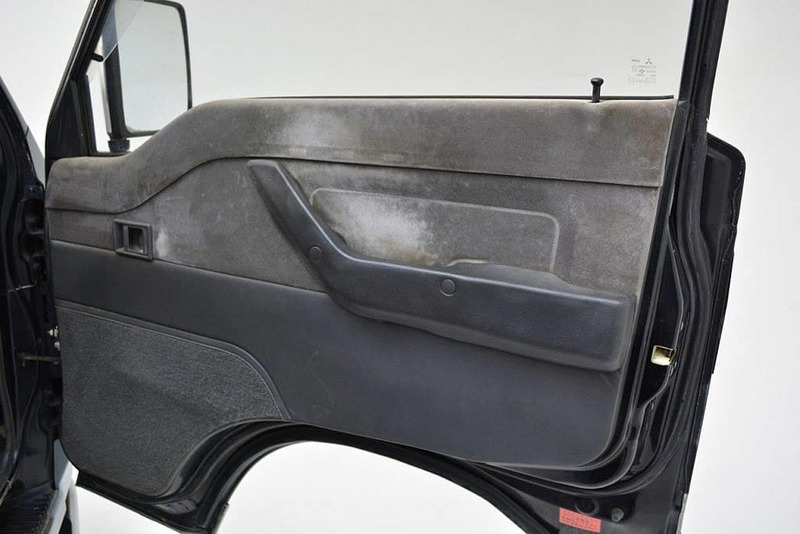 We see some ingress/egress wear on the door panels, seats and carpeting but no major concerns, stains, or tears are notable. 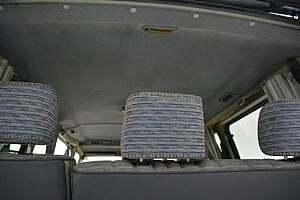 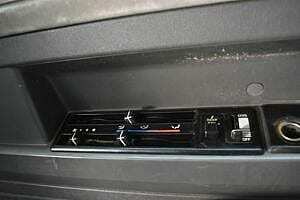 The original curtains are intact, as is a Pyle radio and no sagging is visible from the headliner. 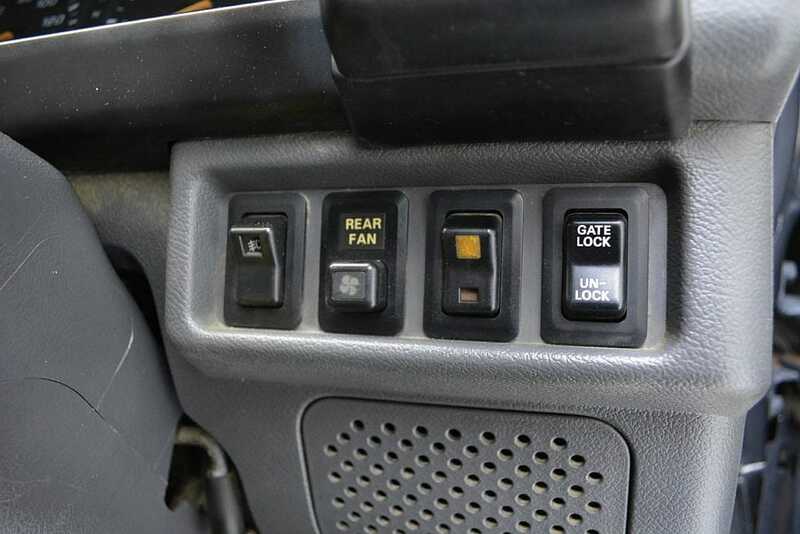 All of the buttons appear to be present, nothing missing that we can tell from the photos and nothing reported by the seller. 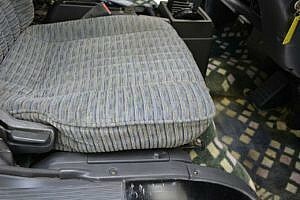 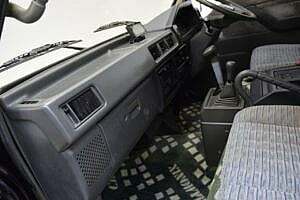 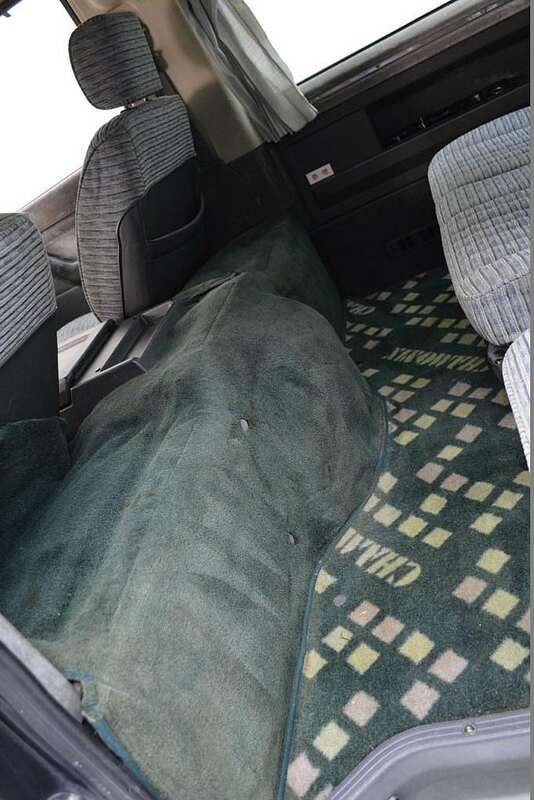 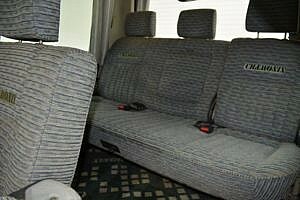 There is space for gear behind the third row seating, and this rear cargo area has the original Mitsubishi rubber mat in place. 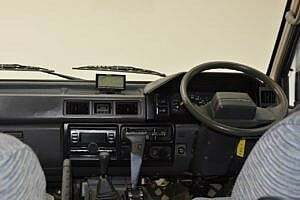 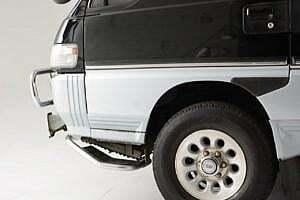 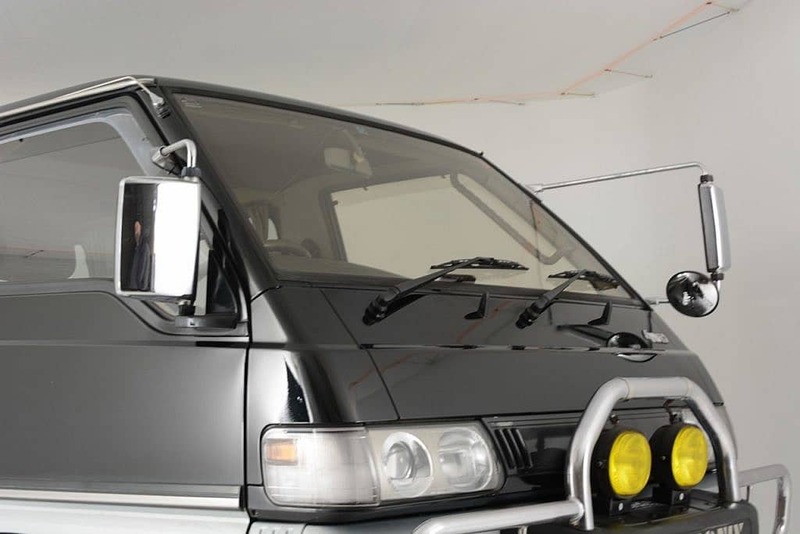 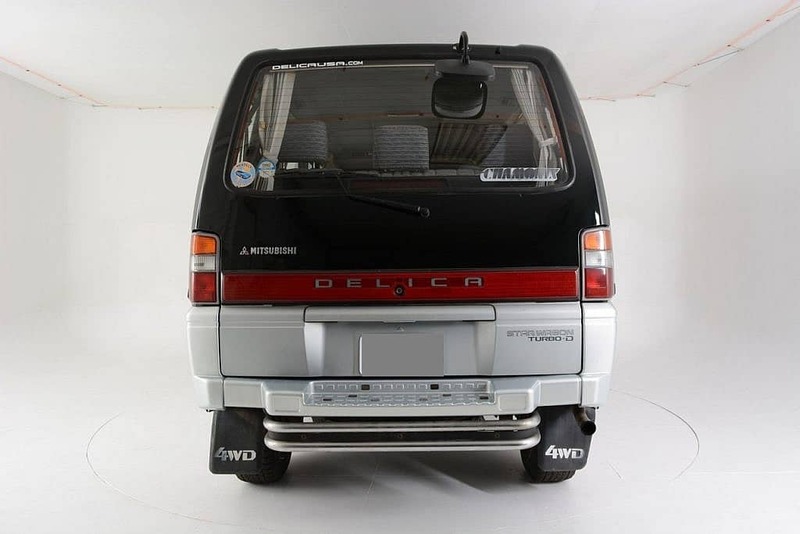 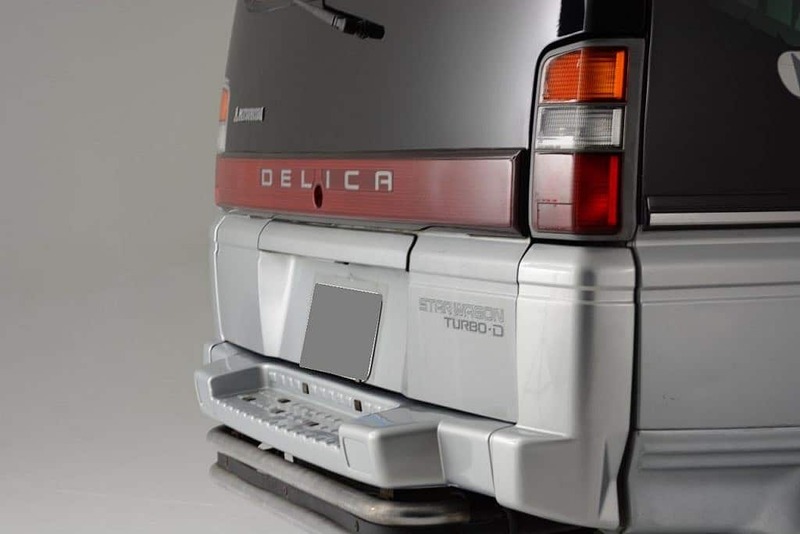 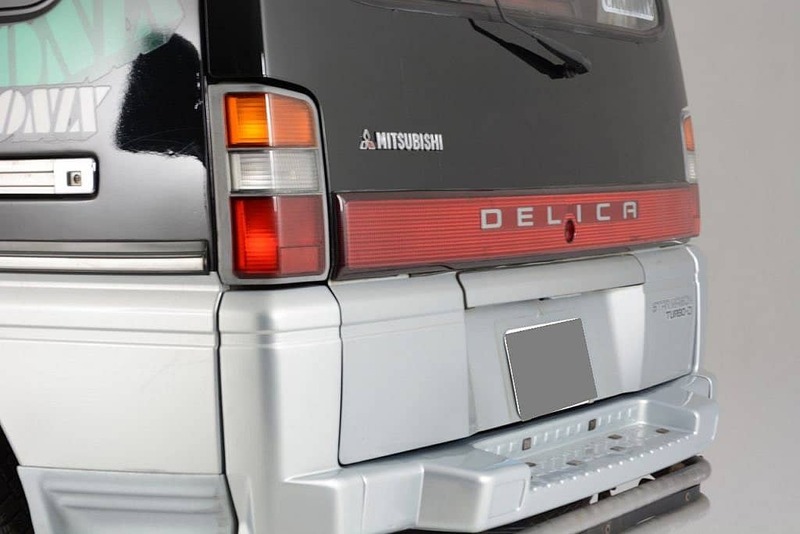 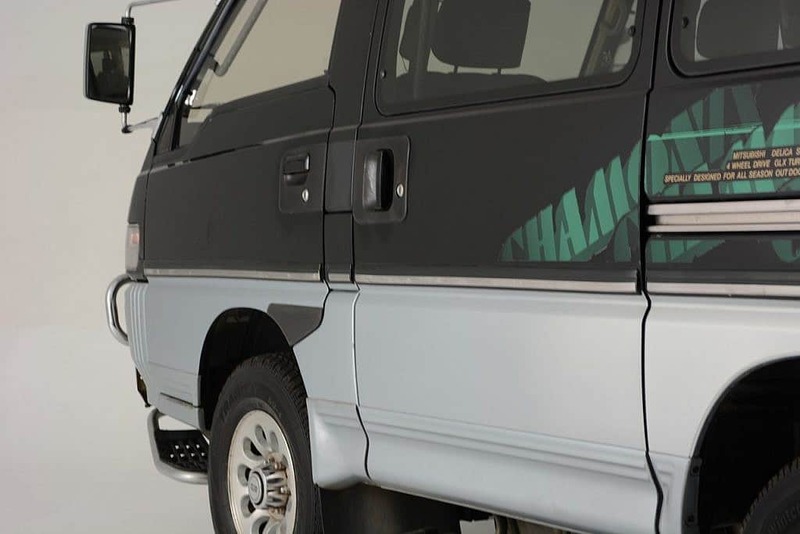 This Delica is powered by a 2.5L turbo diesel that sits comfortably in the middle of the van, and is easily accessible through the interior panel covering. 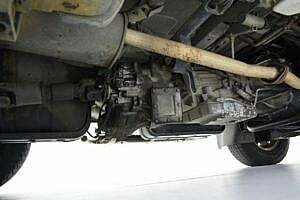 It reportedly pulls strong with no issues and the transmission shifts through all the gears without issue. 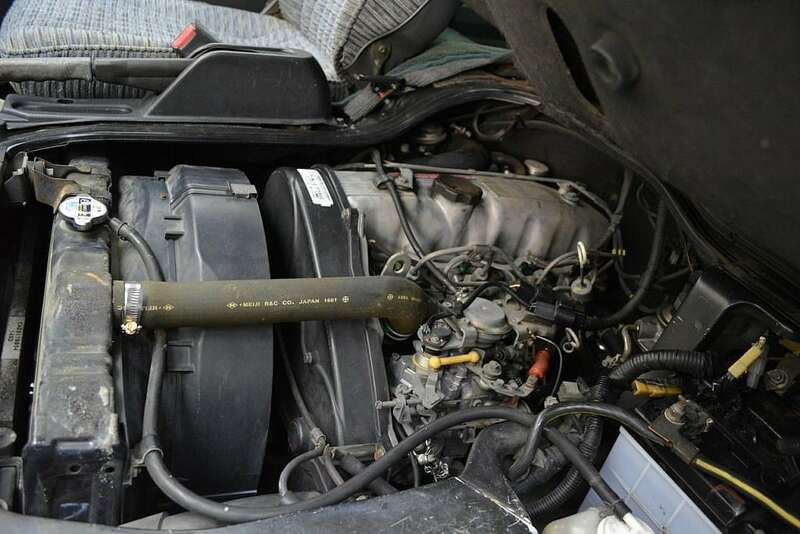 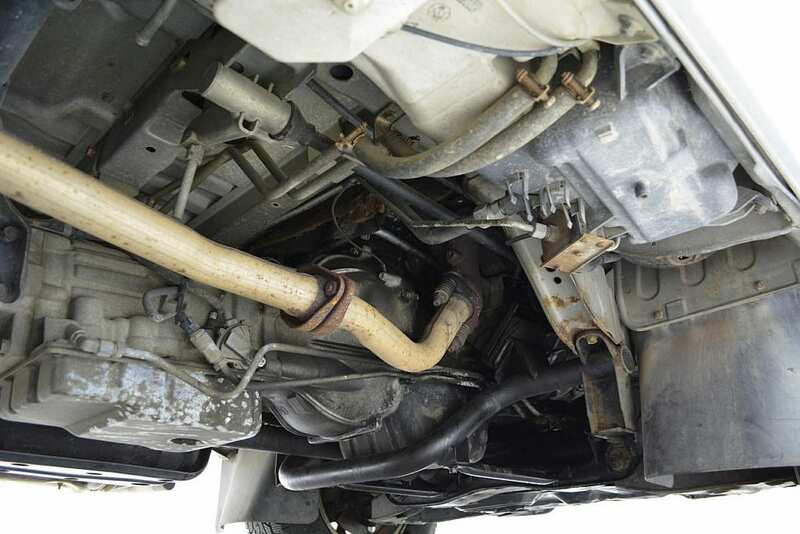 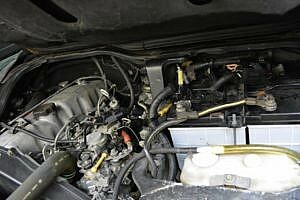 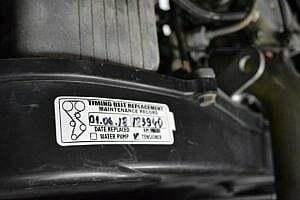 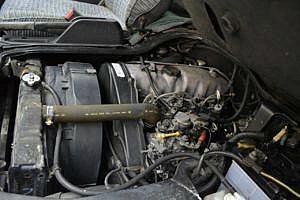 A timing belt service, along with all other fluids being chagned, was performed last month by the seller. 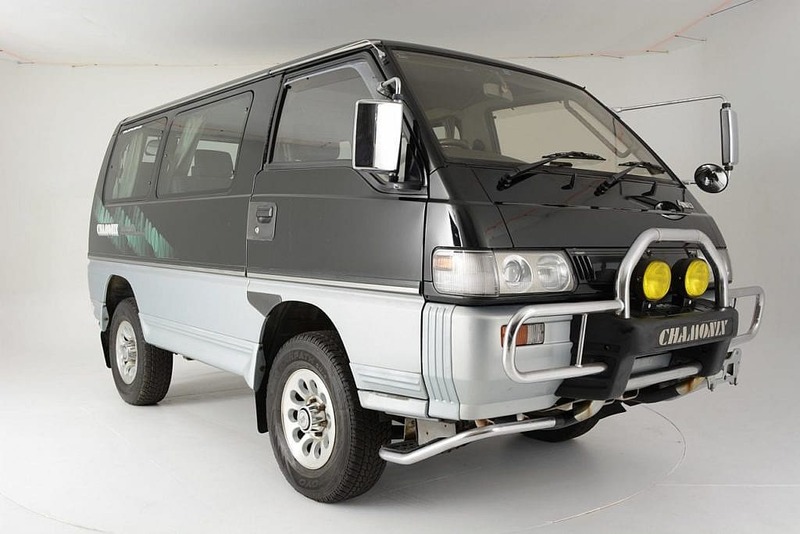 Given the small market size of these in the US, determining value is quite difficult. 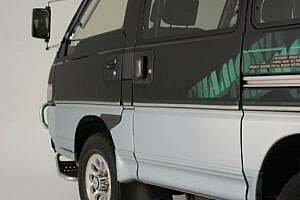 Most of these sell in the range of $12k – $19k depending on age, trim model, quality and mileage. 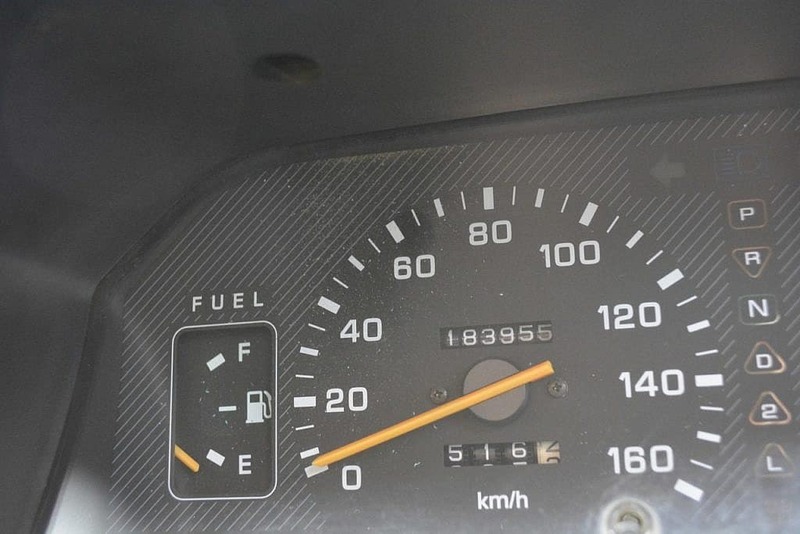 Imports must be 25 years old, so you are getting one that has just aged into the market.